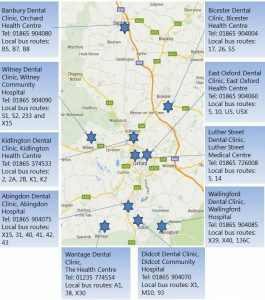 We have 10 dental clinics located across Oxfordshire, each with disabled access. 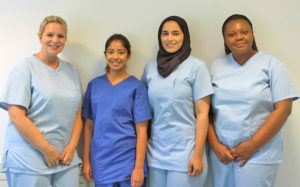 More specialised treatments are provided from our multi-surgery clinics located in Banbury, Bicester, Didcot, East Oxford, Kidlington and Witney. There is a hoist available at East Oxford Dental Clinic. We provide treatment with general anaesthesia for children and special care adults at the John Radcliffe and Horton Hospitals. We also have a domiciliary service for patients who are unable to attend our clinics. Adult Special Care, including learning disability, medically compromised, anxiety/phobia etc. Download our patient information leaflet for more information.